Mega Man. Onimusha. Dead Rising. These are just a small sample of games from Keiji Inafune. Now, he's working on a new title, Mighty No. 9. Oh, he's also answering your questions, right here! For the next hour, Inafune will be on hand for a reader Q&A, with Tokyo-based game localizer 8-4 doing realtime translations. So! If you have something you are dying to know, fire away, and he'll answer as many questions as he can about his games or his upcoming title, Mighty No. 9. Update: And that's it! Inafune was nice enough to stay a little over, but the Q&A is now closed. Ren2147: Will there be a counterpart to a certain long-haired beam swordsman in this game/franchise? HalberdierV2U: Inafune-San, if the opportunity for you to buy the Mega Man franchise, would you do it? also, how much support do you plan to give the 3DS and Wii U in the near future with intended releases? Keiji Inafune: lol Well it's hard to say about Mega Man... Right now I'm really focused on Mighty No. 9 — when I think of Mega Man now, it's less about particular games and more about the spirit of those games that I want to bring with me. As far as Nintendo, I have a special feeling towards them since it was on the NES that I began my career, but I want to include as many players as I can now, on all consoles :) The WiiU is already supported for Mighty No. 9 since we made that stretch goal, and 3DS is somehting we are seriously looking at still. truthtellah: How are you planning to balance accessibility for more casual gamers with many oldschool gamers' desire for greater challenge in a game like Mighty No. 9? Keiji Inafune: We're still in the design phase now, so a lot of this balance will need to happen in actual development. But I do really want Mighty No. 9 to have that classic Japanese action game feel — so I do want it to offer a good challenge... I don't want people to be able to race through in just 3 or 4 hours. That said, I so want it to be easy to get into so anyone who picks it up can at least have fun controlling Beck, and not be impossible for more causal players to finish, but I want to make sure it has real depth, so that advanced players can finish it in cool ways, with style. waffle ryebread? : Inafune-san, I just wanted to say thank you. You, and the various teams you have worked with played no small part in making my childhood as happy as it was. I hope my children (2 and 6 years old) can say something similar about Mighty No. 9 when they get to be my age. Thisonesforyou: How are you today, emotionally? 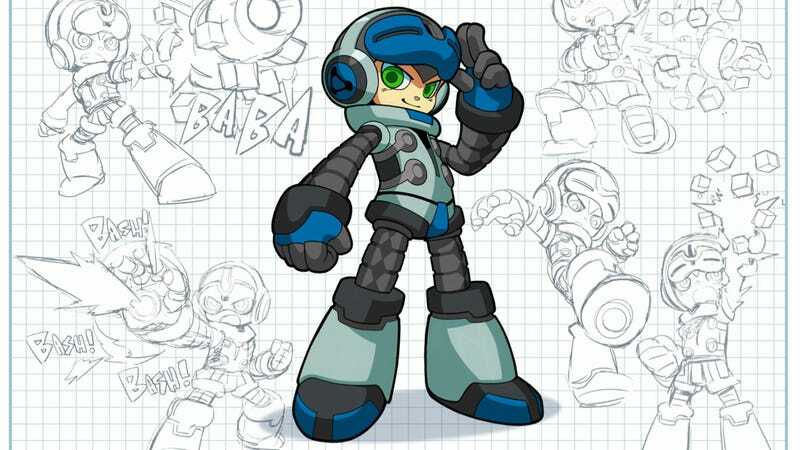 Keiji Inafune: Great, thank you! I'm physcially a bit tired from Tokyo Game Show last week, but mentally, well, very nervous and excited for the final week of our Kickstarter — to see how far we will be able to get with our stretch goals and all. We've tried hard to balance what we want to make and our fans' reactions this past month, and hopefully, by the end of this next week, it'll be even more clear what we are setting out to do here. But yes, very excited and happy right now! Asterra2: Given that the majority of the Kickstarter money is coming from the West, I have fears that this may somehow influence the direction of the game's development. Can we have assurances that Mighty No. 9 will be your game, and that it won't take any cues from Western game sensibilities? That would let me rest easy. Keiji Inafune: This may not be the answer you want to hear, but as this game is being made with and for the fans — many of whom are in the West, and all over the world, not just in Japan — I think some influence is a good thing. That's not to say it will not still have that classic Japanese action game feel — it's really important to us to preserve that — but if it was exactly that and only that, it would be missing a key aspect to want to provide: that Mighty No. 9 evolves, adds, and transforms that formula. This is also not a new thing for my games — including Western influences, when done the right way, has been and can be a great thing for games. I hope we can prove this to you with Mighty No. 9! GeekBabel: Is there a particular reason why Beck looks like he is wearing headphones or it just to look cool? Also thanks for doing this Q&A. Nice to see veterans such as your self trying to open up the closed doors of the Japanese gaming industry. GiantBoyDetective: What is your favorite part of making Mighty Number 9? The PAX event where we first announced Mighty No. 9 was amazing — there was such an energy there... Seeing and meeting all those fans... When they started chanting "Mighty No. 9" at the end of the panel, I honestly nearly cried. Hopefully next year we can come back to PAX and do something similar again with all the fans — show them something new, our progress with the game, or something, and get their feedback right there, live. It was supposed to be limited to 250 people, but over 400 showed up — just seeing so many like-minded people, and feeling their passion, was really a happy surprise. GHavlin: Were there any other big external influences aside from the blue bomber when you were coming up with the ideas and design behind Mighty No.9? The two-toned color scheme is similar to the old Kikaida robots, from that old show in Japan — it might be something that comes across as "cool" only to people who grew up in Japan, though? (laughs) What do you all think? TheWP: In Mighty No 9, will we see more how the various Mighty Numbers interact with each other? Or will the Mighty Numbers mostly just act as boss battles for the end of a stage? Keiji Inafune: Well the story is not 100% set yet... Speaking generally, it was hard to do much with the story back in the NES era; we'd like to add more story and more of the characters' personalities into Mighty No. 9 — even an action game like this can benefit from that, I think — but how much we are able to do will be partially dependent on where we end up on funding. TheCabbage: Inafune-San, what is your favorite Mega Man boss? ShadowflareXIII: Thank you for making my childhood awesome. I have probably played and finished each and every last game you ever released. Just had to say that ^_^ you *are* what gaming is all about and I was happy to donate to the cause. Keiji Inafune: Thank you so much — but on the contrary, it's only due to people like you that I've been able to continue making these games in the first place! But hearing things like this really motivates me; the same as I felt at PAX, our fans have been just amazing with their support, and it drives me to want to make them just as happy in return with the game we make. Also, what this project is all about is YOU :) You and the other awesome fans like you. We couldn't have gotten this far without all of you, so I can't thank you enough for everything so far, and I continue to humbly ask for your support.